This recent stretch of fine weather has ripened the strawberry crop. Now is the time to pack up your buckets and take part in the fresh berry rush. The English believe that soft fruit, like strawberries, raspberries, gooseberries, and blueberries are best picked and consumed that same day. A real purist will not wash the fruit until just before eating. If you plan to make jams or preserves, you should not let them sit in the ice box for more than a day. 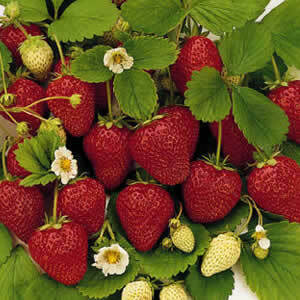 With strawberries in particular, the sugars quickly turn to starch, losing its sweet flavor. That sugary taste makes a freshly picked strawberry out of this world. Scout out the best berry growers in the area. Many of them have their specialties and some offer picnic areas and entertainment for the kids. P.S. Post your favorite berry picking spot!